How long has it been since you’ve had a physical? If it’s been more than a year, it’s time. 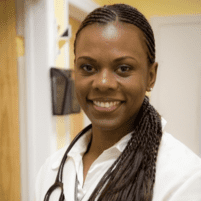 Andrea Perez, DO, is a family medicine physician at Health Development & Restorative Medicine, PC serving the Bronx, West Farms, and Parkchester neighborhoods of New York City who provides expert medical care for men. If it’s time for your annual physical or you have specific health concerns, including erectile dysfunction (ED), Dr. Perez can help. Call today, or schedule an appointment online. You may think because you don’t feel sick that you don’t need to go to the doctor. However, you should see Dr. Perez at least once a year for an annual physical. This routine exam allows Dr. Perez to get a picture of your overall health and helps you establish healthy habits to maintain or improve your wellness. Visiting Dr. Perez when you’re not sick also improves your doctor-patient relationship, which helps with communication and better healthcare. Dr. Perez may also request blood and urine tests to further evaluate your health, as well as additional testing, such as an electrocardiogram or renal artery ultrasound. Dr. Perez may also update your immunizations, make supplement recommendations, or prescribe medications. ED, erectile dysfunction, which is also referred to as impotence, is a condition that makes it difficult for you to get or sustain an erection. It’s normal for men to experience difficulty with erections on occasion, but if it’s occurring more often, it may be a sign of an underlying health condition. ED can further affect your mental health or your intimate relationship. Treatment for your ED is usually aimed at the underlying cause. If you have diabetes, heart disease, or high blood pressure, Dr. Perez can treat these health conditions to help alleviate your ED. She also provides treatment for mental health. If you’re still experiencing ED after treating the underlying cause, Dr. Perez may prescribe medication that improves erections. Dr. Perez is a family medicine physician who trained to be able to diagnose, treat, and manage any health condition that affects men. For expert medical care, call Health Development & Restorative Medicine, PC, or schedule an appointment online.